Providing home health care for a loved one or patient can be a very demanding job, especially in situations where that person is a fully incapable of self care. This scenario is occurring more and more throughout the country, including Phoenix, as the elderly population increases, and fairly often the caregiver is a spouse or other relative who provides round-the-clock assistance. This can be a very trying situation to maintain, especially when lifting, bathing, feeding, and other requirements are involved – not to mention disruptions to rest and sleep for the loved one/patient’s unplanned needs. It’s not surprising that many caregivers in circumstances such as these find themselves exhausted both physically and mentally from the constant demand for care. To help cope with the effects of such intense home assistance, these suggestions for caregivers are offered. When the ‘nasties’ start creeping into your attitude, i.e. all the negatives and the many irritations of the daily care-giving routine, have a time-out, take a few deep breaths, and acknowledge them. Build in regular sanity checks throughout the day, and try to focus on the more positive aspects of life. Even in the midst of care-giving, down-time should be included. Whenever possible, try listening to soothing music, take little cat naps or at least close your eyes and relax when your loved one is also resting. Reading a book can be very calming, or watching a movie on television to take your mind off the duties of a caregiver. Understand that you will simply never be able to do everything that could be done, and trying to do so will inevitably result in frustration. In addition, acknowledge the fact that you will occasionally forget something or fail in the attempt to accomplish something, and that those are normal limitations. Doing your best as a caregiver is all you can do – accept that, and spare yourself any self recriminations. Staying organized in your daily routine can be an enormous boost to your sanity. By keeping your mind ordered, as well as most aspects of daily care, much of the annoyance of unanticipated incidents can be averted. Make use of technology wherever possible to help with organization, for instance keeping notes and reminders on your cellphone. One final way to conduct a mini sanity check is to stop for a moment and recall the ‘why’ of what you’re doing. If you are a caregiver for a spouse or other relative, the care you provide is literally sustaining that person, and to some extent, adding to his/her quality of life. You are giving this care out of a deep sense of love and responsibility, and have chosen to do so. Soliciting the help of an outside service can be another huge boost to your sanity, even if their involvement is no more than one or two days each week. MD Home Assist provides just such personalized home care in the Phoenix area from personal care to homemaking assistance. Are you seeking an extra hand around the home? Give us a call and we’ll send someone over for a free consultation. We’ll even help plan a caregiving schedule that fits your unique individual needs. In the meantime, take a look at the Caring.com Caregiver Wellness Solution Center online for some amazing resources for caregivers. Turn the lights off in rooms you aren’t using. While you might not realize it, lights actually produce a significant amount of heat. Have you ever tried to touch a lightbulb after having it on for a little while? That is a surefire way to get yourself burned. The best thing you can do is to leave the lights off when a room isn’t in use. Drink ample amounts of water. The warmer the temperature is outside, the more water you need to drink. If you skip out on the fluids, you will find yourself dehydrated and in the hospital. Your body is composed mainly of water, so it makes sense that you need to put water back into it to make sure you stay healthy all year round. Aim for at least eight cups of water per day, if not more. Dress based on the weather. If the weather is going to be 90 degrees outside, one should dress accordingly, wear light fabrics that are breathable and in cool colors. When in doubt, pay attention to what the weather forecast says and plan your wardrobe accordingly. It doesn’t make sense to overheat yourself due to clothing attire that isn’t weather appropriate. If the weather outside is extremely warm, keep your windows, doors, blinds and curtains closed to prevent the heat from entering your home. Keeping the area shaded will help to maintain the cooler temperature inside of your environment. Once it cools down outside, you can open everything up and let the nice breeze make its way through your space. Would you like a little extra help taking care of your loved one this summer and making sure they stay nice and cool? Thanks to MD Home Health/Home Assist, you can put your worries behind you and rest assured that there is someone who is going to be there when you need them the most. Phoenix home health care has never been as convenient and rewarding as it is now. The warmest season of the year is upon us, and although fun in the sun is something everyone looks forward to throughout the nine months beforehand, it’s just as important to be mindful of your health as the days grow longer and the nights shorter. There’s a good chance your stress levels decrease, since the summer’s usually marked by vacation and family time. The following are more great things you can do to maximize both your physical and mental well-being. It seems like everyone’s trying frantically to alter their diet in the months leading up to summer, in order to get into some semblance of a beach body shape. Truth is, too many people neglect essential vitamins, minerals and nutrients in an attempt to cut calories. One way to combat the decreased potency of your diet is to add fruit to it. Blackberries, strawberries, watermelon – any assortment of berries will do wonders for helping your body fight off disease and energizing you for the day. In fact, these fruits are chock-full of antioxidants, which are powerful natural remedies against many different illnesses. 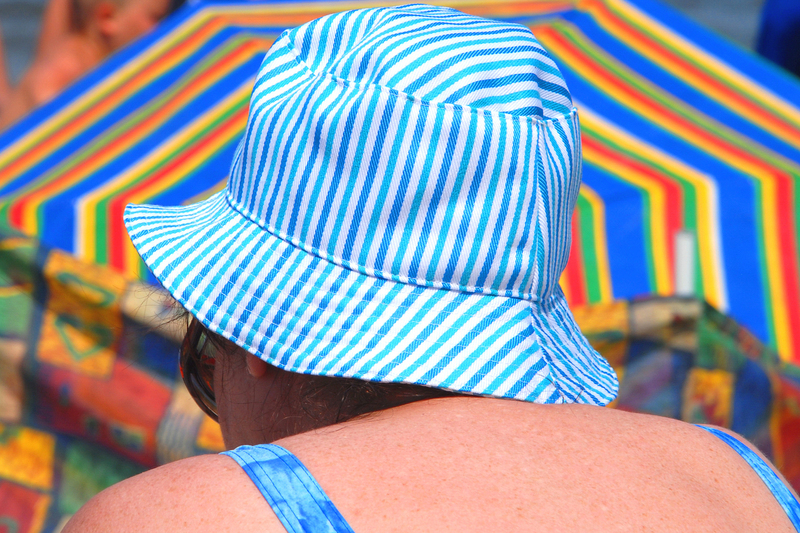 Whether you’re young or old it’s essential to ensure you join us in having a healthy summer. This means making sure to get plenty of exercise – whether it’s taking a swim in the pool of the local YMCA, or making sure you have a dedicated caretaker to accompany you on daily walks. After all, school may be out for the kids, but the adults still have to work and provide a living for their families during the summer months. There’s no substitute for quality care; especially when your loved ones are involved. Exercise has been proven to increase mental well-being, in addition to the obvious physical health benefits – and both the young and elderly should engage in it this summer. 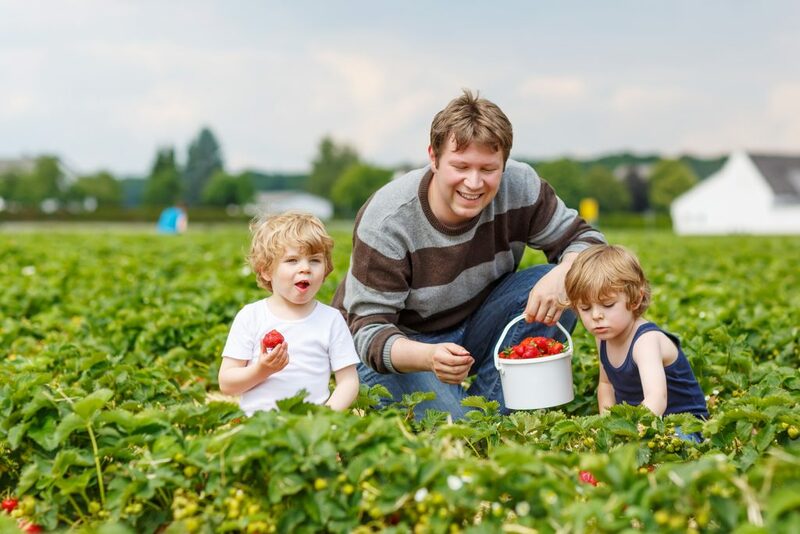 Two little funny kid boys and their father on organic strawberry farm in summer picking and eating fresh ripe berries. Happy family spending time together. After all, what other time of the year will the whole family be together? This is what you work so hard for all year long, and a trip to any of the many wonderful destinations on the planet would do wonders for bonding and overall health. You can keep the vacation local, or spend a little more to see one of the wonders of the world, such as the Dead Sea on the border of Israel and Jordan. The combination of salt in this sea isn’t replicated in any other body of water in the world, and it represents a fantastic opportunity for memories and rejuvenation. Even within your own state, there are plenty of destinations that are sure to recharge. Are you interested in hiring an in-home caregiver for help around the home, help with a family member, or for some extra support with the kids this summer? MD Home Health/Home Assist is happy to help Phoenix area households keep their cool during the summer months. Every day chores loom large for many seniors who struggle to accomplish basic tasks around the house. Getting to the store and running other errands can become complicated and time consuming. But these everyday chores need to be done regularly if the senior wants to stay in her own home. She needs nutritious food and the ability to get to the bank, the library and other services. This is where the benefits of outsourcing grocery shopping and other errands to a caregiver become clear. It can be a positive step to help the elderly live functional lives in their own homes. According to a workshop summary called Providing Healthy and Safe Foods As We Age, about one-third of most grocery trips last less than 30 minutes. But the time spent getting to the store and back can double that. And if a senior needs to take the bus, a single trip can take two or more hours. If he has trouble walking or with his balance, an elderly person can find trips outside the home fraught. The additional struggle to get in and out of a bus while carrying bags can lead to falls and fatigue. Taking a taxi is a good alternative because it provides direct transportation, but it takes time to arrange and there is the problem of making sure the taxi is available for the trip home. Getting a ride from family, friends or neighbors is probably the ideal scenario, but it can be very hard for working adults with families to make time for this type of help. Trips outside the home can challenge a senior’s physical endurance and ability to walk easily. In addition, minor aches, regular colds or other ailments that would have caused little if any difficulty a decade earlier can with time cut significantly into her energy levels. This makes it hard to be consistent with regular trips to the store and other places to handle errands. But consistency is what is needed in order to stay in her own home. According to the National Resource Center on Nutrition, Physical Activity & Aging, “good nutrition plays a crucial role in keeping older people healthy and functioning,” but many simply aren’t eating well. One of the major reasons is how hard it is to get to the grocery store. The answer to this dilemma can be as simple and direct as paying someone to run the errands for the senior. 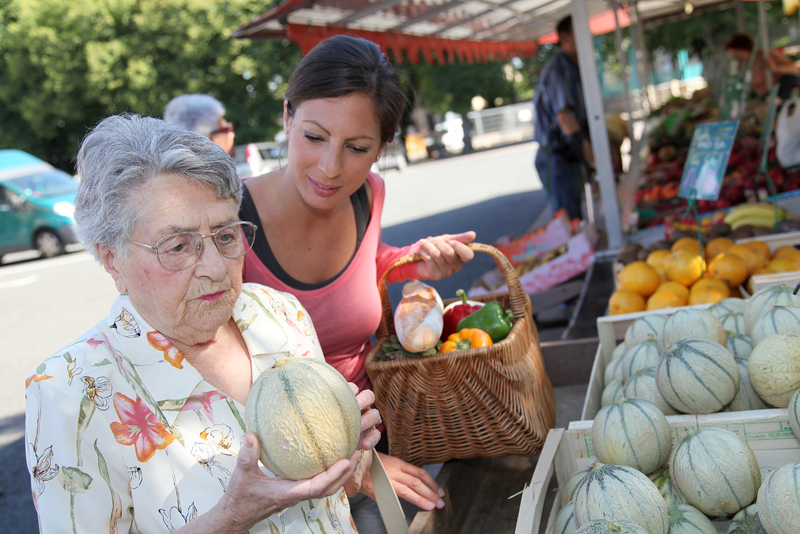 Hiring a caregiver to do the grocery shopping removes it as a barrier to staying healthy. The senior doesn’t have to worry about begging a ride from family or neighbors. She doesn’t have to worry about finding a taxi at the right time. She won’t have to navigate buses and worry about carrying the groceries. He won’t be overtaxed by a trip out of the house and up and down the aisles choosing the right food. He can use his physical energy for other activities like a get together with friends, which provides a more direct chance for socializing. Taking the simple step of outsourcing errands like grocery shopping to a caregiver can keep a senior safer, better fed and more in control of daily care. For more information, contact MD Home Health/ Home Assist. Did you know it takes approximately 1-2 hours to complete a single load of laundry? Hiring laundry assistance is an ideal way to take away a task that is physically difficult and exhausting. Not only does hiring laundry assistance help you physically, it will provide a number of other benefits including the following. Companies that provide laundry assistance often help with other day-to-day tasks including basic housekeeping duties. Bathing and dressing are other services in-house services will provide to help individuals in need of such assistance. Additional personal care needs include dressing, shaving, medication reminders, nail care, and feeding. Contacting a home care agency is the best way to find out what services are available, and what you need to use to improve your daily living. Elderly individuals can end up with serious injuries if they slip and fall in the home. Unfortunately, many elderly individuals do not ask for help until it is too late. Hiring housekeeping companies is a great way to improve safety within your home as they will be able to remove clutter, straighten rugs, and remove things that could lead to a serious accident. Cleanliness is essential to any home as it provides order. If you are homebound, you can find it challenging to leave your home for even the smallest of things. 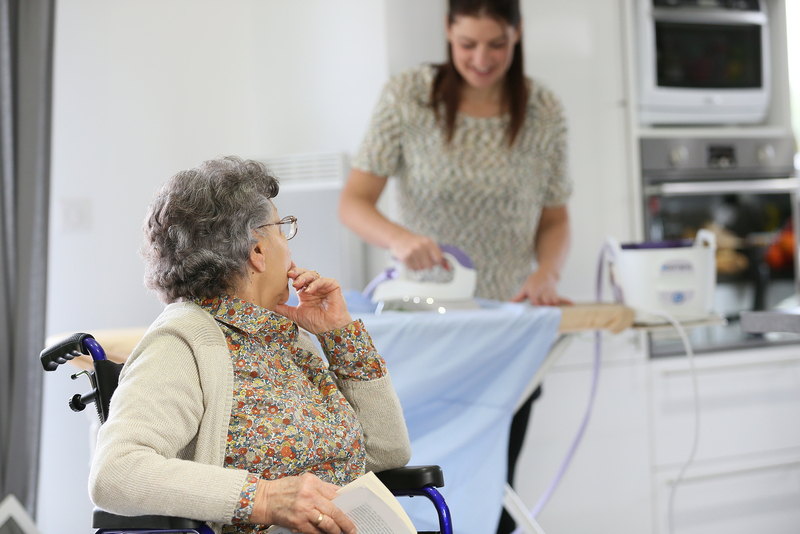 Hiring a company to provide assistance with household chores can give you some much needed social interaction, allowing you to keep your mind fresh as you communicate with the people that come to care for your home and for you. Social interaction helps to keep away other health problems including depression. Since seniors can become socially isolated, small interactions each day with people that care for them is a great way to help reduce the pain of this isolation. Some services companies provide include daily walks, taking you to doctor’s appointments, and making sure your needs are met. Personal Care. Most people need help with bathing, eating, dressing, and toileting. Household Care. Typical chores include cleaning, laundry, cooking, and shopping. Health Care. Medication management, physical therapy, and making appointments with doctors. Emotional Care. Companionship and conversation are meaningful activities to enjoy when you hire professionals to care for your needs. An important aspect of hiring the right person to care for your laundry and other needs comes down to your preferences. Are you comfortable hiring a person who shares your same views, cultural background, or language? Consider what you need to obtain from the company before hiring laundry assistance. Consider working with an experienced company like MD Home Health/ MD Home Assistance for all your personal care needs. Congratulations on your new arrival! As all the thrills and excitements fade away, it’s time to make that transition into motherhood with a positive attitude. One of the best ways to ensure that you get all the supports you need is by hiring a reliable new mother/baby care service. As a well-known Phoenix Home Health Care, MD Home Health promises to deliver quality care that will make you and your baby happy. Although it’s easy for new moms to become buried in a hectic schedule, studies have shown that rest is a much needed routine. According to Stanford Children’s Health, the postpartum period, which begins immediately after delivery, is both physically and emotionally challenging. To effectively rebuild her strength, WomensHealth.gov recommends that the mother be relieved of all responsibilities so she can rest, eat and care for the baby. This is why an experienced new mother/baby care provider is someone who can give practical postpartum tips to help new moms in their recovery process. Caring for a minor is a serious business, not to mention caring for a newborn who needs all the attention and love to thrive physically, mentally and emotionally. This is why home care companies, like MD Home Health of Phoenix, make sure all caregivers have passed a criminal background check, a physical health check, and a written and hands-on competency test. On top of that, caregivers are be trained to handle newborns with professionalism and compassion. So when you’re considering a new mother/baby care, be sure to ask the company for their training program and hiring process. Doing so will help you to better evaluate whether a company meets your personal expectation of care and service. In addition to evaluating the qualification of the service provider and caregiver, you’ll want to hire a new mother/baby care service that is willing to go out of their ways to make you feel comfortable. 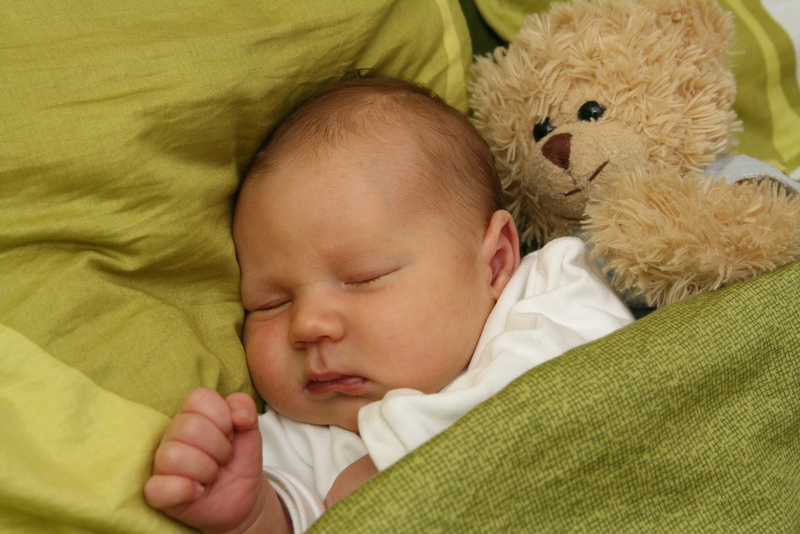 The postpartum period, according to WebMD, is a sensitive time with lots of emotions, hormones and physical changes. You’ll want to be around a caregiver who can lend not only professional hand, but also some emotional support. After all, it is friendship and loving care that will help you pull through those first few months of motherhood. Enjoy your new bundle of joy by getting professional and quality support from MD Home Health’s New Mother/Baby Care. All our caregivers have been rigorously trained to handle and respond to situations with precision and understanding. Contact MD Home Health for more information today. According to the Family Caregiver Alliance, approximately 29% of the U.S. adult population is providing care to someone who is ill, disabled, or in their latter stages of life. This could be a spouse, parent, in-law, a child with special needs, or just a really great friend. Coupled with caring for one’s own household, managing caregiver requirements may become a strain on the caregiver, and may eventually cause strain on relationships as well. One way to alleviate caregiver burnout is to enlist outside help — either through family and friends, or enlisting a home health care agency to provide the services you’re unable to do, thus freeing up time and energy. Whether it’s bringing someone into the home each day or just once or twice a week, one of the most helpful tasks to outsource is transportation. If you’re employed and/or caring for a family, driving your loved one to medical appointments may become burdensome, and difficult to juggle. Enlisting a transportation service will help remedy this. Finding the right transportation isn’t only important for getting loved ones to medical appointments, it’s also effective as a preventative measure against depression. According to the National Caregiver’s Library, one of the biggest needs within the senior population is transportation. It’s critical to the well-being of each person to have mobility to engage in social interactions and activities that will not only get them out of the house, but allow them to connect with others and become more active. Utilizing a home health care agency will allow you to secure not only transportation, but companionship as well for your loved one. While securing a transportation service is important, it’s even more important to secure a reputable service. Drivers should always complete a background check and have a clean driving record. They should also carry the proper insurance and be well-versed on driving passengers who need more assistance, as opposed to a standard car service. There are a number of non-medical services that may be outsourced to avoid caregiver burnout. Perhaps housework has become too difficult, or a loved one would prefer having a professional caretaker over a family member as means of maintaining some independence from family and/or dignity. Maybe there are dietary requirements or restrictions that vary drastically from what the rest of the family eats. Finding a service to assist with these basic needs may allow for more opportunities to enjoy time with loved ones, rather than functioning strictly as caregiver. Are you looking for a caregiver solution to fit your family’s needs? We’d love to sit down with you for a free consultation to discuss how we can help ease your caregiver duties. We have caregivers on-call 24/7, so you never have to worry about not having someone around when you really need them the most. Don’t hesitate to contact us if you’re interested in hiring in-home care in the Phoenix, Arizona area. Those who have problems with mobility may need someone to come to their home and assist them with bathing. A personal care assistant will do just that. They will make sure their clients are kept clean, and also help with shaving, shampooing hair, and hair maintenance. There is no shame in a bit of help for the things one can no longer do with ease. There are risk factors to consider in trying to do these things alone if there is any chance of becoming hurt in the process. Typically when a person is unable to bathe themselves, dressing themselves is also a bit of a challenge. Our professional, licensed caregivers have no problem helping clients to dress when they are unable to do so themselves. This doesn’t mean they have a live-in stylist for hire, but it certainly couldn’t help to have an extra opinion on fashion choices every now and then. As we age skin care becomes more and more essential in order to stay healthy. Taking care of the skin may become difficult with age, especially for those who aren’t as mobile. It is imperative for skin to be kept clean to avoid risk of infection and bed sores. A caregiver will not only keep the skin clean, but will also help with things such as lotion, sunscreen, and face care products for clients who have lost the ability to do so themselves. It’s no fun when nature calls and there isn’t an easy way to answer. For those who unable to move freely on their own, our caregivers are available to assist you with your bathroom breaks so that nature’s call is no longer a struggle. For those who are on medications, it may be difficult to remember to take them at the correct times each day. This becomes more difficult with age and an increase in the number of medications taken. This is why our caregivers are available for medication reminders, and they’ll even assist in administering them if needed. As mobility declines, the ability to feed oneself may also diminish. Not to fret, as we have caregivers available to assist with feeding you or your loved one. If combined with homemaker services, you could have a caregiver conduct your grocery shopping, help plan your meals, prepare them and feed them to you or your loved one. Now that’s what we call red carpet care. Nails are something that never stop growing, so it’s essential to maintain them and keep them from getting hangnails or infections. Our talented caregivers will make sure your nails look lovely. How special is that? Your own manicurist in your home to help you with every step of your day. Are you interested in hiring a personal caregiver for your home or someone you care about? We’d love to sit down with you for a free consultation. We’ll even come to your home to evaluate your needs and establish a custom plan for care that’s just right. We have caregivers on-call 24/7, so you never have to worry about not having someone around when you really need them the most. Don’t hesitate to Contact us if you’re interested in-home care in the Phoenix, Arizona area. As you or a loved one begin to age there are things around the home or group setting that may not be as easy to accomplish as they once were. This is where our non-medical home services come in. MD Home Health offers a full range of non-medical home services in the Phoenix, AZ area that include custodial, homemaker and personal care assistance. We would love to send someone to your home if you feel like you could use a bit of help with any of these things. We provide skilled caregivers for service 24 hours a day, 7 days per week. They’re even available for hourly or daily rates. One of the most important tasks of homemakers is light housekeeping. This includes dusting, sweeping, mopping, vacuuming, washing the dishes, doing the laundry, changing and making the beds, and other small household tasks that one is unable to accomplish on their own. 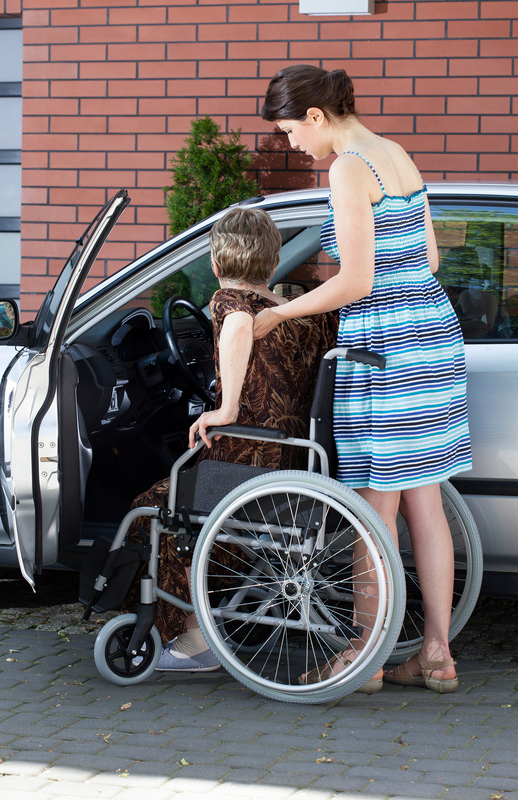 The caregiver may be a live-in or an hourly employee who comes to the home as often as needed. This could be once per week, or every day. In addition to getting a light housekeeper when hiring MD Home Assist homemaker services, you’re also getting a personal nutritionist and chef. Our caregivers will sit down and plan out your meals with you with healthy goals in mind. Not only will you have a wonderful menu that you can enjoy, but you will also have the assistance in preparing the meals. 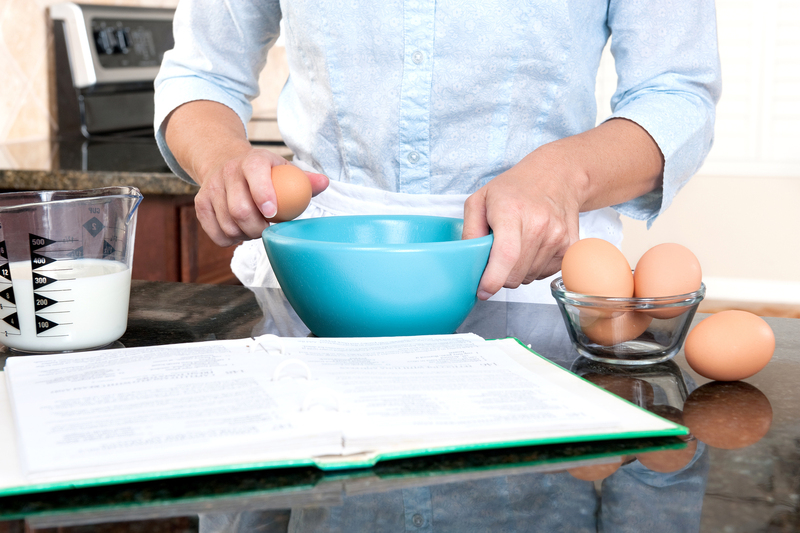 Our homemaker services include meal preparation, so you don’t have to stress about how you will eat when you’re having a difficult time with mobility. If you’re having difficulty with homemaking tasks, the chances are you’re also having a difficult time running errands such as going to the grocery store. Not to worry, MD Home Assist has you covered should you seek their care. Our caregivers will run all of your errands so that you’re able to rest up and focus on you. Are you considering hiring in-home services? From homemaking services to a variety of other non-medical and medical care needs, we’re happy to develop a customized care plan with you. Do you have a moment to chat? We’d love a chance to sit down and talk with you about your unique home care needs today. Feel free to Contact us at your earliest convenience. Regardless of age, your post-surgical routine will often play a role in the overall effectiveness of your surgery. For older adults, this often requires hospice care, visits to the hospital for a short while, or hiring a licensed at-home caregiver. It’s believed that the home is the optimal environment for a successful recovery. Generally speaking, recovering from surgery will be a much smoother process with the help of a licensed caregiver in the home. It’s of the utmost importance that, once you return home from the hospital after a medical procedure or surgery, you’re as comfortable as possible. Having someone around the home who can help with things like cleaning, meal preparation and transportation to appointments could make a world of difference. It’s expected that there will be some post-surgery pain. A licensed caregiver can assist with a variety of tasks, including rehabilitation and giving pain medication. One can also request that several different caregivers come to the home for short periods of time after surgery as well. For example, a physical therapist may visit for rehabilitation, and a nurse may visit to assist with changing bandages and pain management. Another caregiver may also visit to help clean the home. Sometimes a single caregiver can provide all of the mentioned tasks. 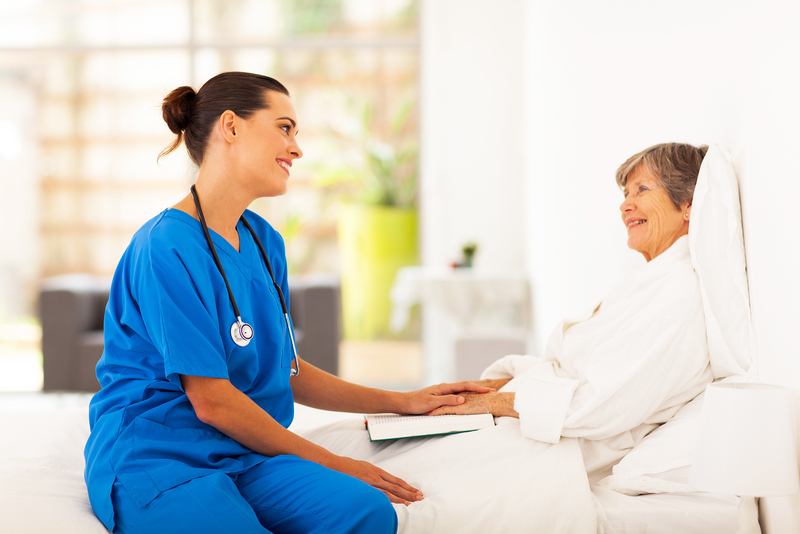 It’s of the utmost importance that the caregivers be licensed and state-certified. They should be insured and have passed an extensive background check. After all, as we mentioned before, one of the biggest components to a successful recovery is feeling comfortable and safe. Another service home care centers provide is companionship. While you’re recovering, there may be a lot of down time in between physical therapy, meal times, appointments and medication. Friends and family may not always be able to visit, and the independent life you’re trying to maintain may feel lonely while you recover. As a result, you can choose to have a companion visit your home when you’d like some company. This person can sit and talk with you, play games, and engage in safe activities that aid in your recovery. The risk for depression is higher after surgery, and a companion may be able to help curb some of those feelings. Would you like some assistance or more information about surgery recovery or home care assistance? We offer a full range of home care services in Phoenix, Arizona and would love to send one of our highly skilled professionals to come put a smile on your face today. Give us a call, we’re always here to assist.